I'm way late to this party, I know. Not only did I read the books after everyoneelseintheworld, but I have now waited nearly four months between reading the books and writing about them. Oops? I read both of these on my Nook back in April when flying to and from Italy. They seemed like perfect travel reading to me: easy to get into, easy to get hooked on, and easy to get lost in. What more could you need for 7+ hour flights with crappy in-flight movies as an alternative? I was right on all accounts. The books are easy to get into (though you definitely have to have read the first to get the second and third), easy to get hooked on, and totally make the time fly. 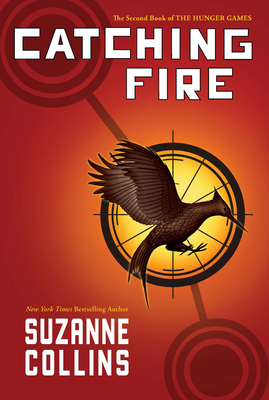 Collins builds further on the world she developed in The Hunger Games, bringing back some favorite characters, introducing some new characters, and giving life to characters previously mentioned only in passing. There's guts, there's gore, and there is, of course, a healthy dose of sappy romance. 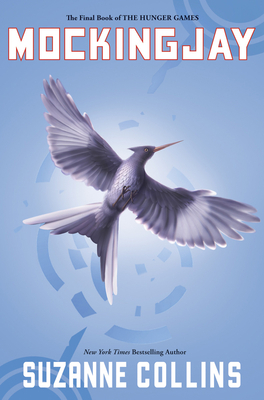 Overall, I'd still call The Hunger Games my favorite of the three, but the trilogy works as a whole. I'll never call these great literature, but they are definitely great stories (despite some obvious plot flaws in Mockingjay). And for those wondering, I'm all about Team Peeta. FTW. Late to the party or not, it's still a great series!